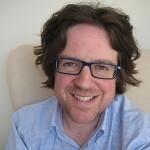 Alasdair Cochrane is Senior Lecturer in Political Theory at the University of Sheffield and co-director of ShARC. The bulk of his research examines the ways in which political institutions, structures and processes can be reimagined to better serve the interests and rights of sentient animals. I have written three books on these issues: Animal Rights without Liberation (Columbia University Press, 2012), An Introduction to Animals and Political Theory (Palgrave Macmillan, 2010) and Sentientist Politics: A Theory of Global Inter-Species Justice (Oxford University Press, 2018). My current project, entitled ‘Beastly Cosmopolitanism : A Global Theory of Inter-Species Justice’, explores the nature of our international obligation to animals, and asks what types of institutions might best serve them. Robert McKay is a Senior Lecturer in English Literature at the University of Sheffield and co-director of ShARC. His research focuses on the animal politics of modern and contemporary literature, film and theory, with further interests in contemporary art. He has long been involved in interdisciplinary animal studies, having convened one of the field’s early gatherings, the Millennial Animals conference at Sheffield in 2000. I am series co-editor for Palgrave Studies in Animals and Literature and Assistant Editor (Literature) for Society and Animals. I am currently working on two projects: a study on the place of animal ethics in American culture, politics and law 1930-1960 and a monograph titled Animal Form: The Politics of Species in Contemporary Literature. John Miller is a Senior Lecturer in Nineteenth-Century Literature and co-director of ShARC. Having completed his PhD at the University of Glasgow in 2009, John then held postdoctoral research fellowships at the Institute for Advanced Study in the Humanities, University of Edinburgh, and at the University of Northern British Columbia. He also held a teaching fellowship at the University of East Anglia. John is General Secretary of the Association for the Study of Literature and Environment (UK & Ireland) and co-editor of Palsgrave Studies in Animals and Literature. My research focuses on writing about animals, ecology and empire from the nineteenth century to the present, with particular emphasis on the late Victorian period. My first monograph Empire and the Animal Body (Anthem, 2012) explores the representation of exotic animals in Victorian and Edwardian adventure fiction. My second book is the co-authored volume Walrus for the Reaktion Animal series. I am currently working towards my next monograph, ‘Once Upon a Time I Was— ALIVE’: Fur and Fiction from Cooper to Kafka. I have recently completed my PhD at the University of Sheffield, where I have been researching the material and conceptual relationships between animals and technology in postwar culture. I focus on literary animal studies while also drawing on other approaches, including ecocriticism, science fiction studies, posthumanist theory, extinction studies, and the new materialism(s). I am hoping to develop my thesis into a research monograph. My thesis investigates the crisis of humanism in postwar culture (1945-1970), tracing how the contemporary acceleration of technological development incited fears concerning the disappearance of human agency, and asking how these fears were articulated through a discourse of species. Together with my colleague Dr. John Miller, I am preparing an edited collection of essays on the topic of flesh-eating and literature. Sarah Bezan is Newton International Fellow (2018-2020) at the University of Sheffield. Her postdoctoral project, “Animating the Fossil Image: Iconographies of Contingency in Contemporary Paleoart” seeks to understand how emerging paleoartists respond to ecological crisis. Her work more broadly is focused on evolutionary aesthetics, visual cultures of de-extinction, and the intersection of the arts and natural sciences. Sarah is the co-editor of the book Seeing Animals After Derrida (Lexington Ecocritical Theory and Practice Series, 2018), along with a forthcoming special issue of Configurations (Johns Hopkins UP) on “Taxidermic Forms and Fictions” with Susan McHugh. Her first book-length manuscript (in preparation) explores the evolutionary aesthetics of decomposition in the thinking of Charles Darwin. Prior to her tenure at the University of Sheffield, Sarah was a Research Affiliate at The University of Manitoba Institute for the Humanities. She obtained her PhD from The University of Alberta, Canada, in 2017. I began my PhD in the University of Sheffield’s English department in January 2015. My primary fields of research are critical animal studies and Laruellean non-philosophy, with groundings in biopolitics and speculative realism. I examine the ways in which standard philosophy excises a generic creatural thought from itself and from critical thought in general through a supposed self-sufficiency of method – an identity that is immanent to thought and produced by a set of internal decisions that subdivide and reify the Real. My thesis examines non-philosophy’s capacity for understanding animal life without casting in the image of philosophy’s auto-specular All, or its philomorphising of the Real and of thought. It aims to think through a generic matrix the elements of creatural meta-language, using this as basis for theorising without subjecting thought to standard philosophy’s formal disidentification from the nonhuman. This involves an attempt at thinking an “animal-without-animality,” since, I argue, animality is already a mode of being captured by metaphysics and weaponised against real animals. I’m also currently investigating science-fiction’s capacity to undermine metaphysical authoritarianism (and therefore, its capacity to provide a thought of the generic creatural). I came to Sheffield as a postdoctoral fellow in 2016, after finishing my PhD in Bristol in 2014, where I taught English for a number of years. My primary research interests are in modern poetry, animal studies and environmental writing. I’m currently working on a project entitled ‘Faceless Extinctions’. This project examines the lives of endangered animals in the UK, particularly creatures without ‘faces’, and tries to think through the implications of what would be lost — both for the environment and for culture — if certain species were to disappear. I am especially interested in molluscs, beetles, butterflies and eels. Later this year, my first book, The Figure of the Animal in Modern and Contemporary Poetry, will appear in Palgrave’s ‘Animals in Literature’ series. The book offers close readings of animals in the poetry of Marianne Moore, Elizabeth Bishop, Ted Hughes and Les Murray, and argues that these poets, to adapt a phrase from Rilke, allow us to ‘see animals more seeingly’. I am also a contributing member of RUOM, a group of journalists based in Southeast Asia, and have a special interest in the politics of migration and migrant labour. I am a first-year PhD candidate in the department of English Literature, having completed both my BA and MA here at Sheffield. My work focuses on the contemporary representation of animals in literature, drawing on critical animal studies, postcolonial theory and anthropology. My PhD thesis examines the representation of animals in contemporary Canadian literature, specifically post 1960. I am interested in looking at the ways in which Canadian literature interacts with animal representation, settler-colonialism and the vast cultural identities that make up Canada. The spread of my research extends to authors including Margaret Atwood and Marian Engel, but also the work of Canadian-immigrant authors, such as Rawi Hage and Yann Martel, and First Nation authors, such as Tracey Lindberg and Eden Robinson. I am currently in my third year of study for a PhD in English Literature, having previously completed both my BA and MA qualifications here at Sheffield. My work focuses on comparisons between representations of animal life in contemporary fiction and scientific models of knowledge, particularly the fields of primatology and cognitive ethology. My thesis focuses on comparing contemporary literary fiction and scientific approaches to animal cognition (particularly in primates) and how these different models of knowledge are constructed and reconstructed into the wider framework of animal ethics. My scientific resources range between the likes of Jane Goodall, Roger Fouts and Marc Bekoff. My literary sources comprise mostly of post-1960s American and Canadian fiction including the works of Karen Joy Fowler, William Boyd and Colin McAdam. Funded by the Grantham Centre for Sustainable Futures, I am a PhD candidate in the School of English at Sheffield. My area of research broadly covers literary representations of animals from 1800 to the present, with a particular interest in the Victorian period and depictions of farm/companion animals. After earning my MA at the University of Leeds in 2011, I served as Lecturer in English Literature and Language at Utah Valley University in the United States, teaching rhetoric and academic writing. My PhD thesis examines meat consumption and animal resources in nineteenth and twentieth-century literature. Currently, I am investigating portrayals of animals (especially pigs) in the comedic writings of P.G. Wodehouse and Saki. I am interested in how various literary modes imagine alternative roles for animals beyond their limited function as food commodities. My interest in critical animal studies originated during my MA, with a dissertation that tracked evolving trends in characterising the dog throughout nineteenth-century British literature. I am originally from Sheffield, but left six years ago to study BA English Language & Literature at the University of Leeds (graduating 2014). Thence to Cambridge to complete an MPhil in Modern and Contemporary English Studies (completed in 2016). I have now returned to the city of my upbringing to complete a PhD in English Literature, which is funded by the AHRC via the White Rose College of the Arts and Humanities (WRoCAH). My PhD research engages with an eclectic array of contemporary sources, including nature memoirs, poetry, short stories, cinema, performance research and performance art. What links all of these diverse ‘texts’ is their interest in nonhuman subjectivities. Adopting animal affects, or inhabiting imagined nonhuman minds, they enact radical decentrings of the human. Some of these humans purportedly seek to surmount the wall of animal/human alterity entirely: to be, or to become, animal. In analysing these primary sources, my research draws heavily upon scientific enquiries into the nature of animal behaviour and/or minds, and upon Continental-Philosophical thinking about animals, over the past eighty-or-so years. A first-year PhD candidate funded by the Grantham Centre for Future Sustainability, I am interested in the representation of animals in a wide range of media. Having completed by BA in Modern Languages with the Open University, and my MA in Sociocultural linguistics at Goldsmiths, University of London, I am now looking to apply linguistic analysis in my PhD research. We are currently experiencing the Earth’s 6th mass extinction, where species are lost at a dazzling rate, mainly due to human activity. My PhD thesis adopts approaches from ecolinguistics and sociolinguistics to analyse international companies’ integrated reports to examine how they may account for species extinction. I am specifically interested in the chemical industry and pesticide use in connection with the extinction of insects, who play a vital component in the maintenance of soil health, pollination and food production. I graduated from the University of Sheffield in 2013 with a BA in Philosophy, where my primary interests were in Ethics and Existentialism. I went on to Study a Postgraduate Certificate in Interpersonal and Counselling Skills at Leeds Beckett and have just begun studying MA Political Theory at Sheffield. Having previously studied psychotherapy I am interested in how we develop a fondness/ dislike for animals, and how early childhood development affects how we might interact with and view animals in the later stages of our lives. I plan on writing my dissertation on animal ethics. After completing a BA in English and History and an MA in English Literature here at Sheffield, I began my PhD in September 2017, funded by the White Rose College of the Arts and Humanities (WRoCAH). With grounding in literary animal studies, my work draws influence from biopolitical and posthumanist theory, ecocriticism and speculative fiction. My PhD research examines the role of species in the technological imagination of the Cold War. I am broadly concerned with the ways in which narratives of enclosure, contamination and disaster serve to secure the boundaries of the human both as biopolitical sovereign and as bare — or animal — life. My literary sources include works by Thomas Pynchon, J. G. Ballard, and Richard Matheson. Having completed my BA and MA in English Literature in Sheffield, as of April 2018 I am a first year PhD student in the School of English. I first studied late Victorian activist and writer Edward Carpenter as part of a SURE-funded research project during the second year of my undergraduate degree; I went on to write about him for my undergraduate dissertation, and now he is the subject of my PhD research. I’m a PhD candidate at the University of Sheffield, having also completed my Masters here and my undergraduate degree at Northumbria University. I’m interested in literary representations of animality and technology in the modernist period, with particular emphasis on the impact of early automotive culture on the lives of animals (both human and nonhuman). My project, Horsepower: Animals in Automotive Culture, 1895-1935, examines how portrayals of animals were affected by the invention and mass-production of the automobile. The first issue of popular car magazine The Horseless Age was printed in 1895, twenty years before horse populations peaked in the US. Whilst there is a temptation to believe that automotive culture makes animals go away, my hypothesis is that this belief is merely one of the ideological fictions associated with the car.